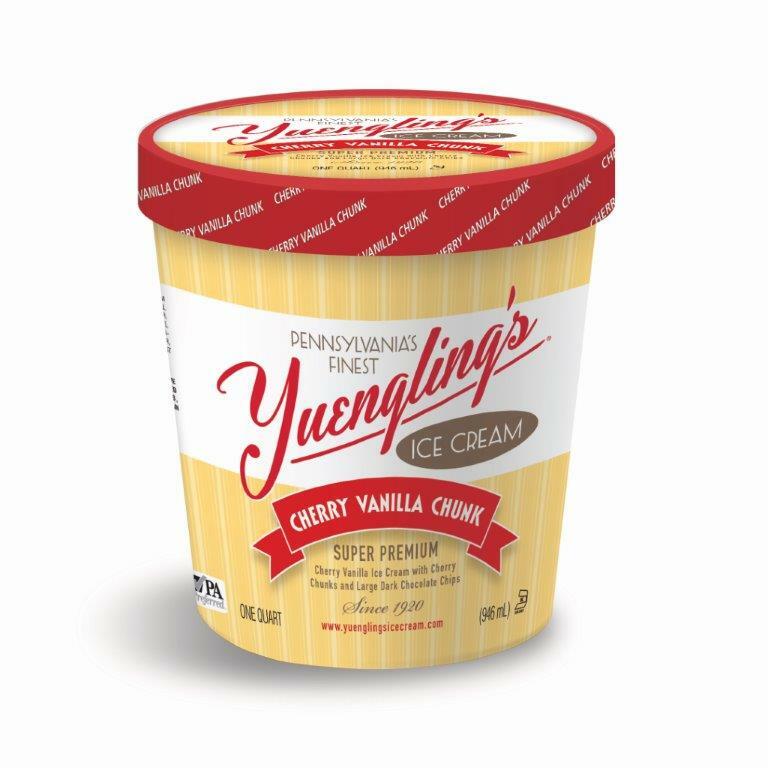 OREFIELD, PA--(Marketwired - March 29, 2016) - Yuengling's Ice Cream is celebrating Frozen Food Month with four new super-premium ice cream flavors: Butter Pecan, Cherry Vanilla Chunk, Cinnamon Churro, and Cookies & Cream. These flavors join the company's roster of 14 year-round flavors and two seasonal ice creams. Butter Pecan: A tried-and-true old-fashioned flavor that combines a creamy butter pecan ice cream with pecan pieces. Cherry Vanilla Chunk: Combines three mouth-watering flavors and textures: cherry vanilla ice cream, cherry chunks, and large dark chocolate chips. Cinnamon Churro: A food-truck favorite. Baked churro pieces and cinnamon are swirled into a rich Madagascar vanilla ice cream. Cookies & Cream: A perennial childhood flavor. Combines vanilla ice cream with old-fashioned dark chocolate cookie pieces. Yuengling's Ice Cream recently received a Gold Medal at the Los Angeles International Dairy Competition in the "Premium Vanilla Ice Cream, >12% Fat" category for their Madagascar Vanilla, the base for the new Cinnamon Churro flavor. "Frozen Food Month wouldn't be complete without Yuengling's Ice Cream, so we thought it would be appropriate to thank our fans by rolling out four new mouth-watering flavors," said David Yuengling, president of Yuengling's Ice Cream. These four new flavors -- available in quarts in stores now -- complement Yuengling's Ice Cream's current lineup of 14 super-premium ice cream flavors: Vanilla, Chocolate, Vanilla Fudge Chunk with Pretzels, Root Beer Float, Chocolate Chip, Espresso Chocolate Chip, Mint Chocolate Chip, Chocolate Fudge Brownie, Chocolate Marshmallow, Orange Cream, Original Sea Salt Caramel Swirl, Peanut Butter Cup, Caramel Popcorn, and its signature flavor, Black & Tan. Its two seasonal flavors, Spiced Pumpkin Roll and Peppermint Crunch, make appearances during the holidays. The new flavors will be available in both quarts and pints; availability will vary by retailer. Yuengling's Ice Cream, based in Northeastern Pennsylvania, is a family-owned business dating back to 1920. All of its flavors of all-natural super-premium ice cream are kosher, PA Preferred, and adhere to the highest quality standards. Ever mindful of the community, Yuengling's Ice Cream donates at least three percent of its profits to charitable organizations. 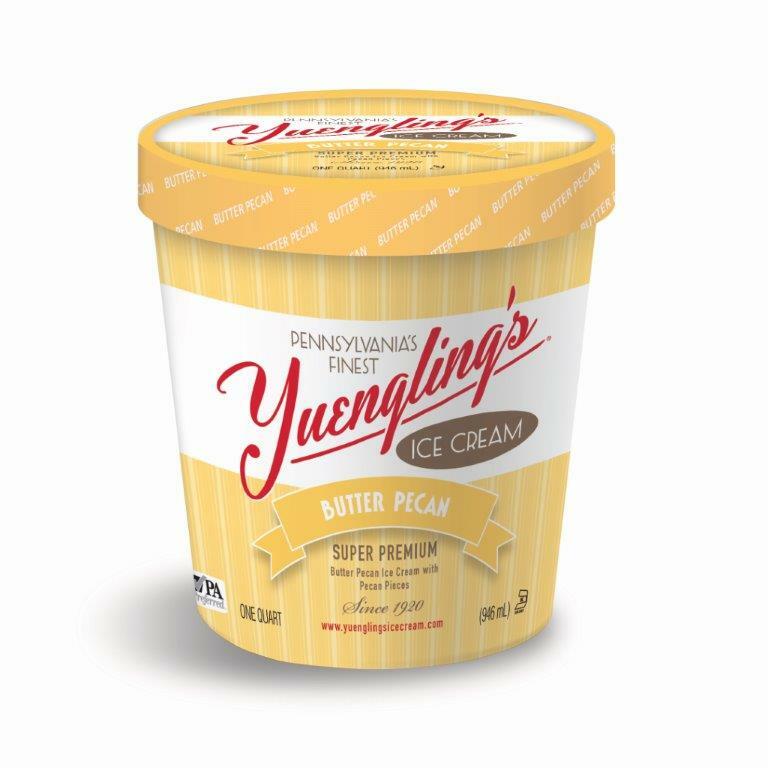 For more information, visit YuenglingsIceCream.com.